NEW design dual zone wine fridge model with unique shelving and multiple bottle size options. 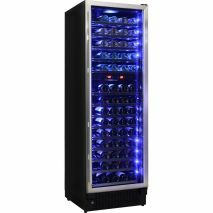 Unique NEW design upright wine fridge model with unique shelving and multiple bottle size options. 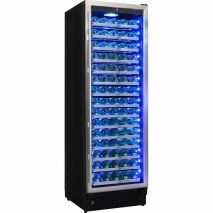 Stunning beer and wine fridge combination with 3 x zones, quiet running, excellent parts and real warranty. 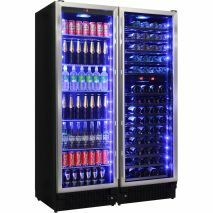 Made to fit all size wine bottles and heaps of beers, over 860 litres of storage. 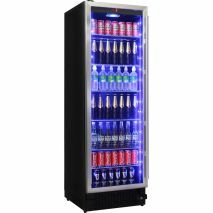 Our own dedicated design for mixing upright beer and wine combination fridges that can be free standing or built into wall, units are extremely versatile.